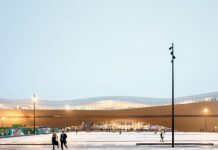 Canadian design firm DIALOG has had a longstanding history working with the Calgary Airport Authority, completing major expansion projects to Calgary International Airport (YYC) over the last 20 years. Because of this, the company was ideally placed to join forces with AECOM for the most recent renovation scheme, planned for the international pier in the existing terminal back in 2006. Although the project was initially only planned to be a renovation, upon reviewing passenger forecasting, project cost and construction considerations, this soon transformed into an exploration into a new terminal design and master plan to house all international and trans-border traffic. This master plan factored in YYC’s aspirations to become a global connector for the world, along with its ambition to be highly sustainable and LEED (Leadership in Energy and Environmental Design) designated, while connecting with the surrounding region by showcasing the iconic views of the Calgary landscape. 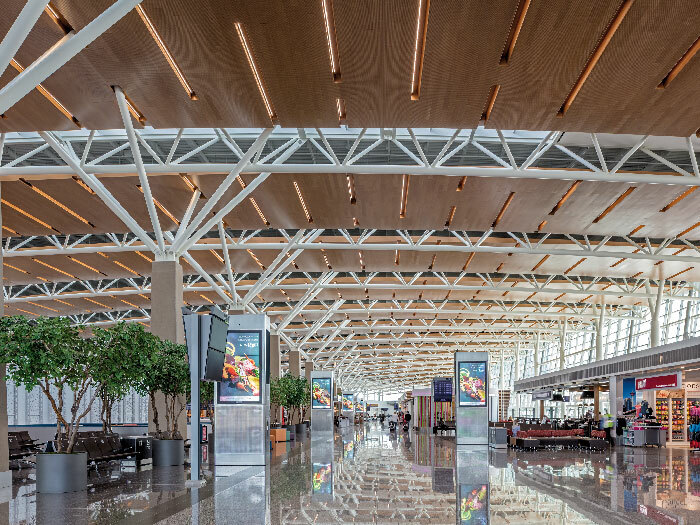 Doug Cinnamon, Studio Managing Principal in DIALOG’s Calgary office, has provided design leadership for numerous projects at YYC, including the recent renovation, and he revealed just how integral a role sustainability played in their plans for the new terminal. Indeed this harnessing of natural light, and adding more control to any artificial lighting, played a role in AECOM’s lighting design for the terminal too, as Tony Suurhoff, Senior Lead Lighting Designer at AECOM for the project, added: “The initial design approach concentrated on illuminating floating surfaces and controlling the intensities with the use of dimming control. This way we could provide two different dramatic experiences between day and night. Alongside this, to control glare and reduce heat gain through the building’s extensive system of skylights, DIALOG installed an interstitial honeycomb framework, designed to eliminate direct sunlight on check-in kiosks, but still allow a direct visual connection to Calgary’s ‘big sky’ from most public places inside the terminal. This connection to the ‘big sky’ was key for DIALOG, not only in connecting the interior of the terminal to the outside world, but also as a way of connecting with passengers travelling to and from Calgary. “The concept of natural light as an intuitive way to orient passengers through the building was a driving force for us,” Cinnamon continued. 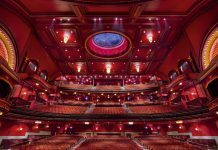 “We designed skylight openings in three-dimensional truss elements as a typical detail. 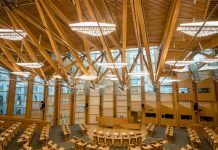 The bays between trusses then became an ideal place for wood ceiling systems to house strips of artificial LED lighting. As well as making the most out of natural light and installing LED lighting where possible, the entire project, and all design decision-making aspects, were deeply rooted in a commitment to sustainability and passenger comfort, as the project employs lighting as part of an integrated, high performance architecture, tying it to the building envelope and mechanical systems. However, doing so presented DIALOG with some issues; as the new lighting system was designed as an integral part of the architectural and mechanical systems, lighting control, and its relationship with building management systems in the terminal, posed a slight challenge to the firm. However, from optimised profiling of louvre shades that track the sun, to temperature-based override of localised blinds to avoid overheating in occupied areas of the building, careful planning in the hierarchy of information proved critical in bringing balance to the internal environment. Elsewhere, the project required an array of lighting requirements, which again threw up some unexpected issues that needed overcoming, as Cinnamon explained: “In order to meet the wide-ranging lighting requirements within the terminal, our design strategy included repetitive elements, such as the integration of skylights with the repetitive cadence of the structure. This provides natural and artificial light to illuminate main open areas of the space. For AECOM, the main issues came with the sheer size of the project, as Suurhoff explained: “The scale was the most challenging aspect for us. However, when we broke the facility down into manageable parts, through the course of approximately eighteen months, we had the design virtually complete. “Then we revisited the design and product selection. As the LED technology market was changing at a rapid pace some of the initial product was either no longer available or had transformed into more efficient lighting modules, which in turn gave us more flexibility in lumen output, while decreasing the electrical load,” again, tying into the overarching theme of sustainability, and helping to create the kind of welcoming environment that AECOM were eager to achieve. This is something that Suurhoff feels was essential from the get-go, and he was pleased to see this come to fruition in the end result. “The lighting in the building’s public spaces offers a calming effect, as airport terminals tend to have a higher public anxiety level than any other transportation facility. Because of this, it was deemed important to create that effect,” he said. What this means is that the new terminal perfectly ties into YYC’s initial design brief and the two major themes that were paramount within this: intrinsic sustainability and regional connectivity, with a new lighting strategy that leads all design initiatives.